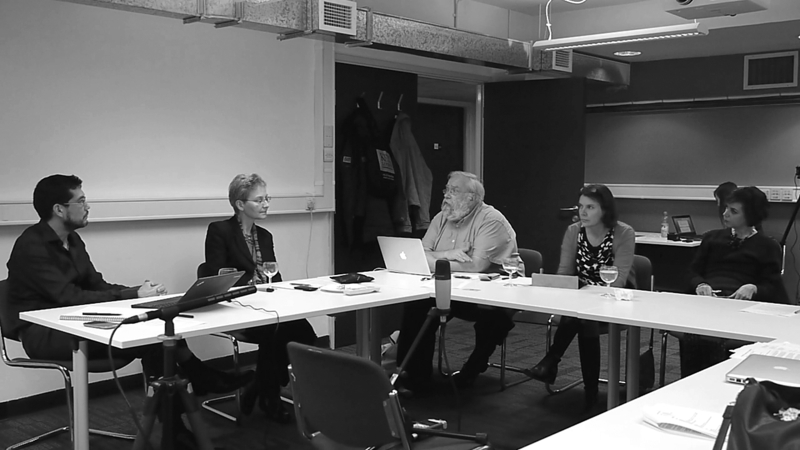 On Expansion was a roundtable discussion that recently took place at King’s College London on 21 January 2014. It was a closed-door workshop led by curator Alfredo Cramerotti (Director, MOSTYN) in partnership with artist/researcher Michael Takeo Magruder (Department of Digital Humanities, King’s College London) that attempted to unpack certain aspects of the status of photography in an increasingly digital world. 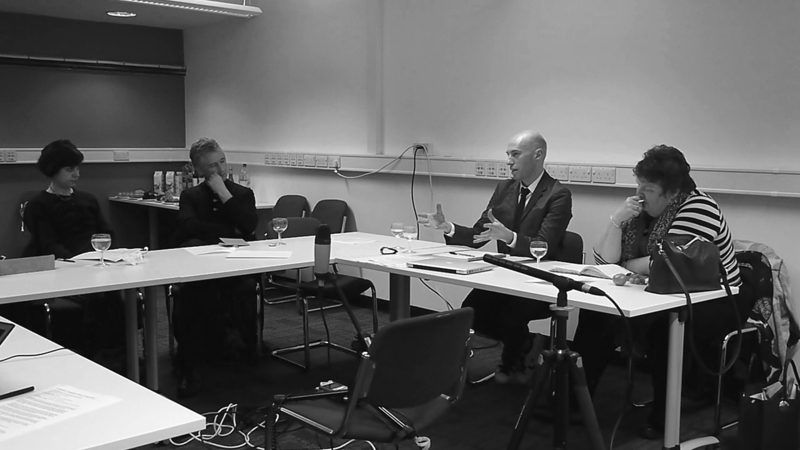 It is part of the AGM conversation series and was recorded as part of Alfredo Cramerotti’s ongoing research in this area. The event focused on two lines of enquiry, namely: What is photography’s ontological status in the world today when thought in relationship to the omnipresence of the digital image and video? and How does this (digital) photographic moment in the history of image-making change the methodology of artistic and curatorial inquiries, their value, and their justification? considering how the visual translations of ideas through various networked social systems have a major impact on our artistic and curatorial practices; examining how – now – images are made, distributed, recycled or found; and how curators are curating contemporary artists using new technology to reflect upon its meaning today. exploring how the artistic and curatorial act of making, manipulating, distributing and ‘digesting’ pictures is hybridized by devices like mobile phones, tablets and computers but, also, virtual reality glasses and game consoles. 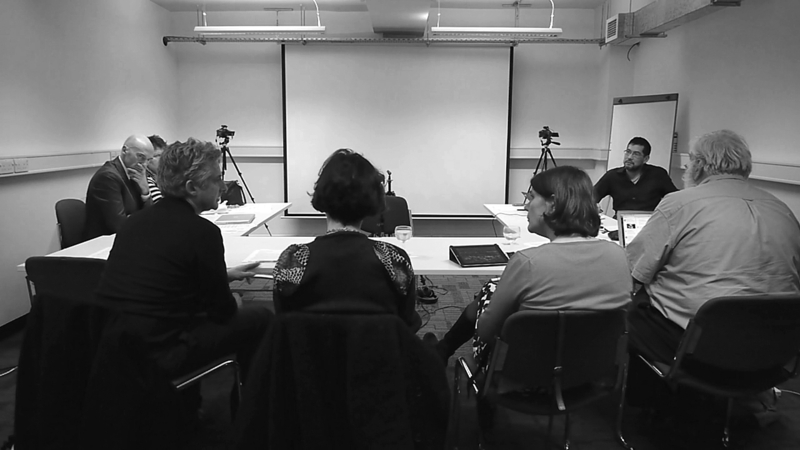 discussing the work of some artists and theorists in relation to these networked systems. With an invited group of specialists and practitioners from diverse backgrounds, On Expansion looked at the ways in which conceptions about photography, art, digital practices and curating are in flux, and how these shifts – particularly in the artistic production and curatorial presentation of photography – can engender new ways of thinking about archives, collections, exhibitions and display. Discussants included: Anna Bentkowska-Kafel (King’s College London), Gair Dunlop (University of Dundee), Marialaura Ghedini (University of Sunderland), Andrew Prescott (King’s College London), Anna Reading (King’s College London) and Gillian Youngs (University of Brighton). « MOSTYN | Wales’ contemporary art centre | We are recruiting! Rydym yn recriwtio!